Dan and I had been dating for almost four years. We lived together, owned a house, had two dogs. We were planning a Labor Day Weekend party at the house with all of our closest friends and family. As usual I was still getting ready when some of our friends and siblings started to arrive early. As I was running around, Dan came outside asking about a pair of board shorts in his hand. When I grabbed them from him, hidden in his hand was a ring box and he got on one knee and asked me to marry him in front of everyone “who arrived early”. My reaction was “are you serious?”, which is now an ongoing joke. I obviously said yes and we celebrated the rest of the day! 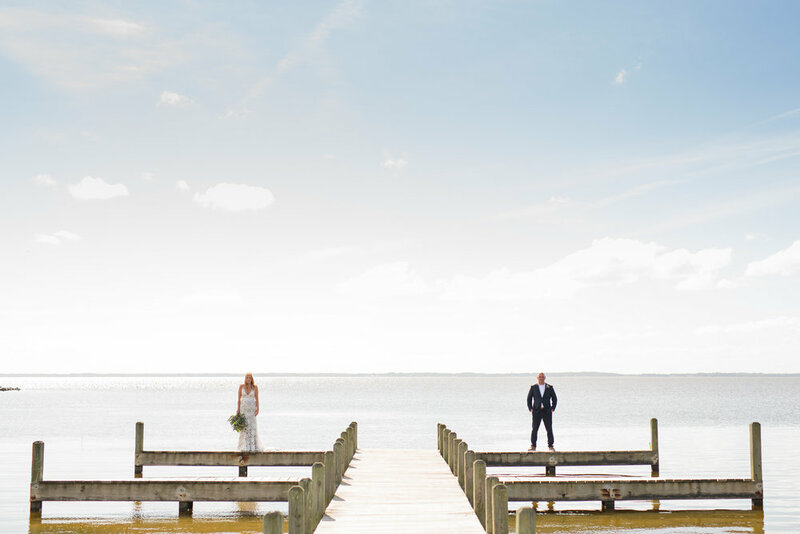 We were looking for a destination wedding, not too far from home. We had both vacationed all along the Outer Banks as kids but hadn't been back in years. Once we started looking and reviewing vendors in the area, we knew this was the place for us! I also loved the idea of renting a large house and doing everything the way we envisioned! As we both are from large families, The Black Stallion was a perfect location for us! I loved the layout of the house and the idea that we could be there with our immediate families for the week! 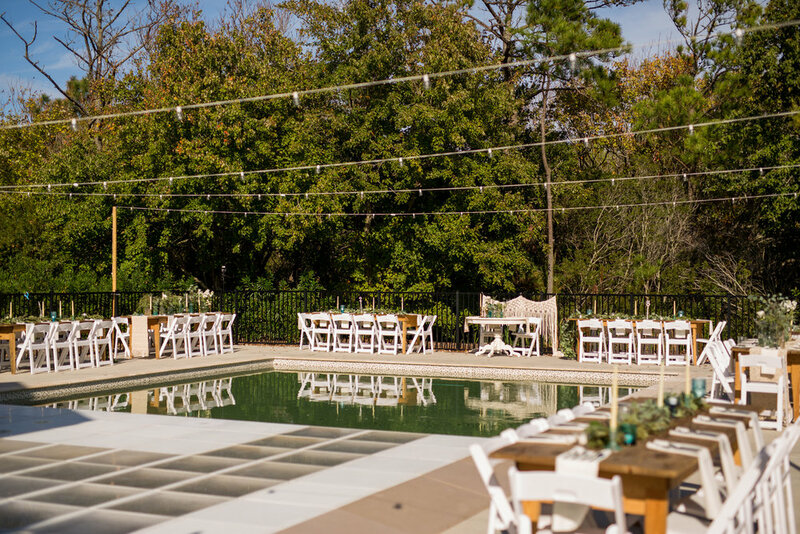 The pool, pool house and bridal suite/cabana was a big seller ;) We booked and planned the entire wedding without ever stepping foot in the house, and once we arrived it exceeded our expectations! Our friends and family are constantly asking when we can go back for a "reunion"! We wanted our day to be a reflection of us as much as possible. 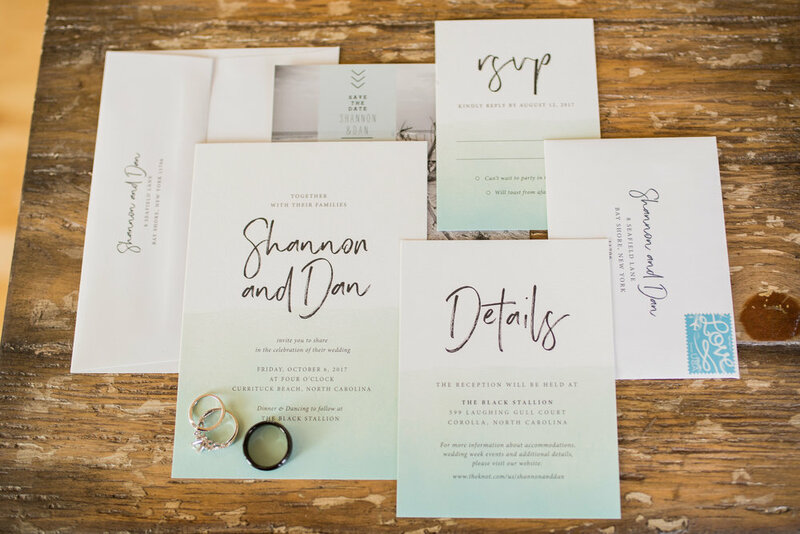 We took inspiration from the beach and the ocean. 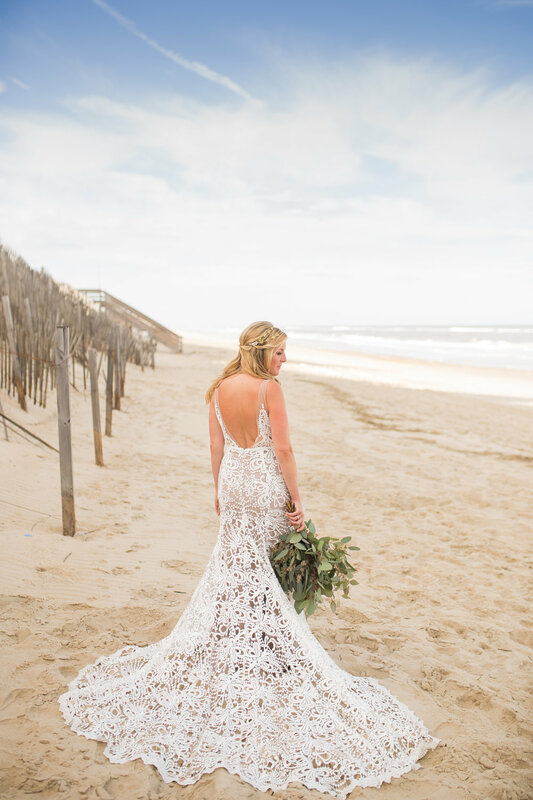 We wanted a natural look to go with the setting and feeling of the Outer Banks, and being from Long Island, the beach and the ocean are a big part of our lives. 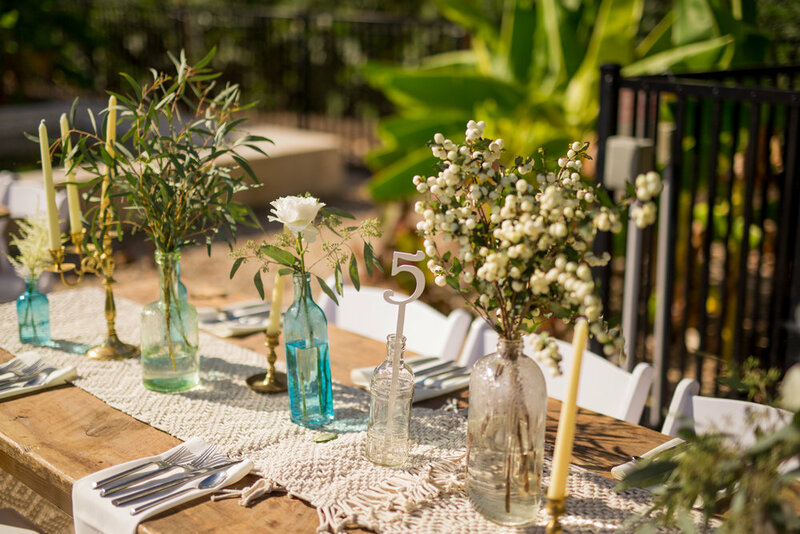 Sea glass colors, greens and blues, and greenery and macrame were a big part of our decor. 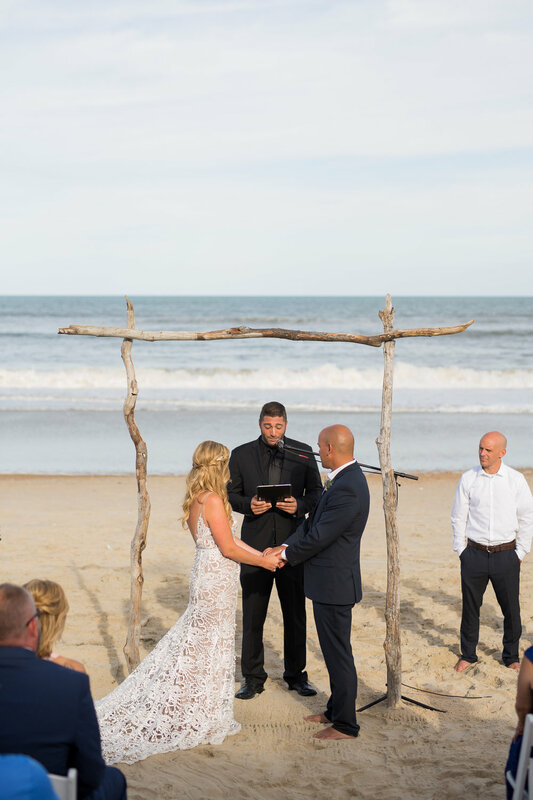 We wanted a boho beach feel with a laid back vibe, with the hopes of everyone having a great time! 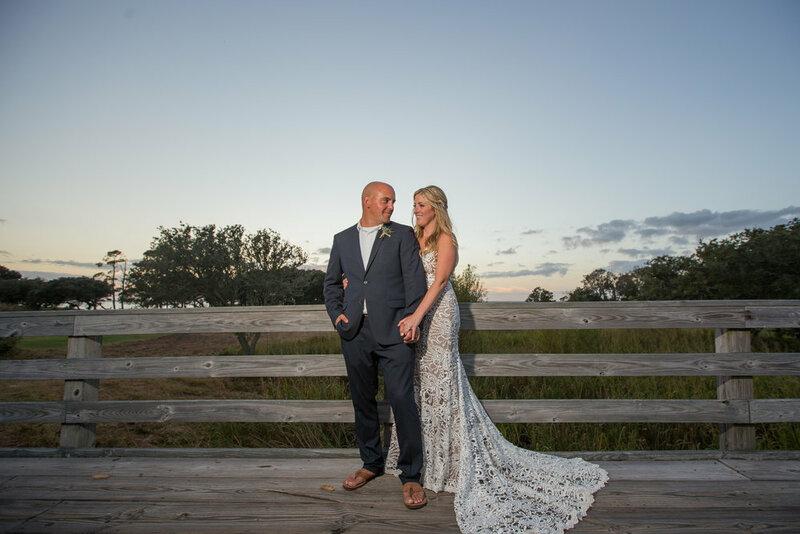 We were able to accomplish everything we wanted for our wedding at the Black Stallion! 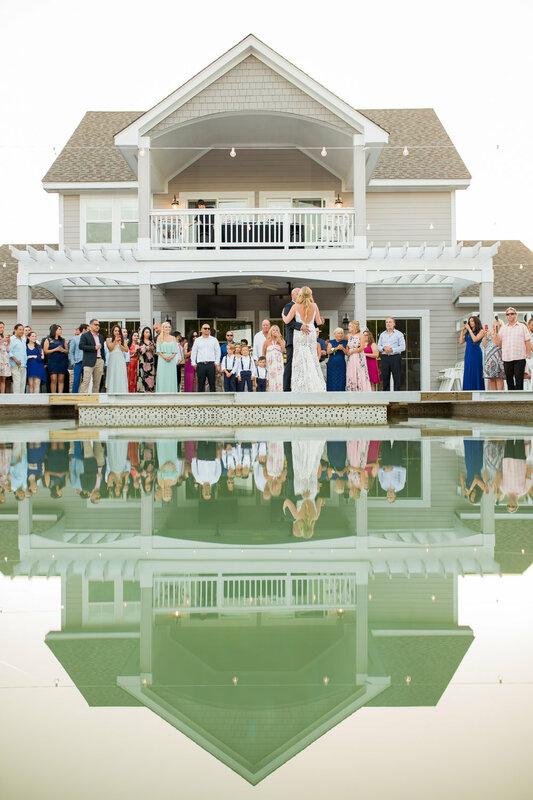 We had the most wonderful week ever, and each part of our day was special in its own way, but we both agreed that the late night pool party with all of our wedding guests was our favorite memory! Hire a wedding planner! Especially since you'll probably be planning from a far! This was by far the best decision I made! 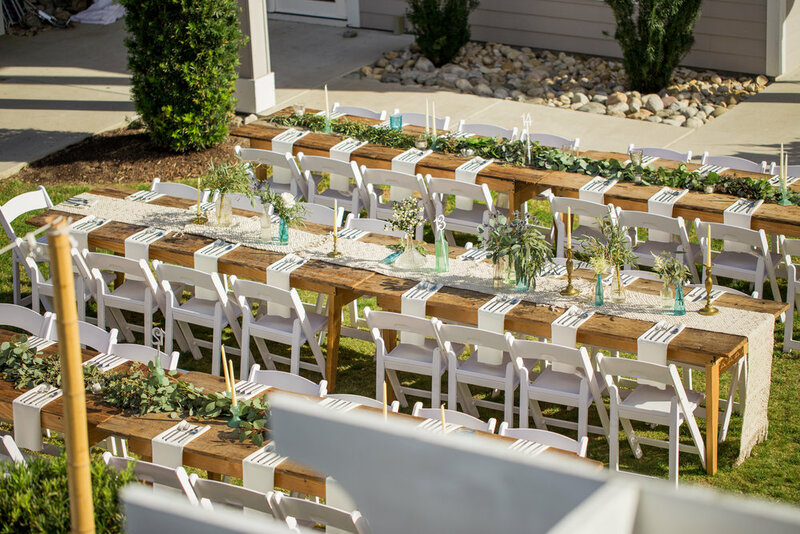 Ashley from Southern Hospitality Weddings & Events was AMAZING and so knowledgeable, helpful, patient and easy to work with! Also I would say to hire your photographer for the entire night (or extend them day of). Ryan and Rach were hands down the best photographers! However, there was so much more that happened once they left that I wish was a part of our photos (the late night pool party! ), that I regret not having them longer!